My name is David Ingram, the owner operator of Ultraclean Systems - which has been delivering outstanding carpet cleaning results for nearly 25 years. 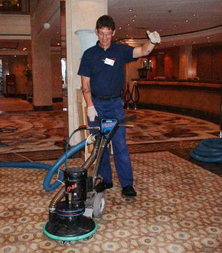 I’ve been cleaning carpets in Homes, Pubs, Hotels, Restaurants and for local councils and I’ve seen good and bad jobs carried out by my competitors. Superb Cleaning - it's what we are all about! You want fantastic looking furnishings, and we want to give you them whether they be carpets, upholstery, rugs or leather items in the West Bromwich area. We don't just clean, we clean brilliantly. This is obtained by firstly using the correct machinery. We have spent many thousands of pounds on what the industry calls 'truck mount' power. Essentially this means that you will get the best posible clean available, ensuring your items stay cleaner for longer - with reduced drying times. Then of course we have the right professional training by industry experts, the right insurance, and the right approach. We strive for the best results possible and simply wont accept anything less. Ultraclean are regarded as an honest and ethical company and highly regarded within the cleaning industry. For all your cleaning needs in West Bromwich & surrounding areas - call us today! Bright, Fluffy & Long Lasting! With every clean that we do, we will leave your furnishings in the best possible condition, ph neatrual and safe for your family pets and allergy sufferers. One thing I’ve noticed is that when you’ve paid out good money, you don’t always get what you expect! With West Bromwich Ultraclean you won't get any high pressure sales, just good honest advice on what needs cleaning and how. Remember, with Ultraclean's services you get an unconditional guarantee. I have a true passion working in the cleaning industry, and thrive on meeting new clients, solving their cleaning concerns and meeting those criteria. I have a philosophy that if you don't enjoy your work, you just cannot give the best possible service! Ultraclean will carry out every single job to the highest possible standard, and if for any reason you’re not completely satisfied with the result, I’ll personally re-clean the item/s again completely FREE OF CHARGE. If you’re still not happy, I’ll refund your money on that item in FULL!